It is nice vintage stuff still holds very well over decades. Many people still have no idea what this machine does. For me, it fleshes out thin, mean mixes, makes them more 3D lifelike sounding. Occasionally I’ll use it for its true purpose, but not often. The Ole' Rocker, danielbravo and polchik like this. Grant and danielbravo like this. I never use it like that, don’t worry. Here's your chance everyone one day left!!!! Well, if a recording sounds too solid state or mixed too weird. You know, dry, boring, lopsided, thin, crispy, flat, uninvolving, etc. Run it through this and get some more body, life, etc. I vaguely remember reading a post of yours where you stated the audio needed to be run through multiple times through such a unit to add life and that tube magic. Is that right or is my memory wrong? Cool, love seeing stuff like this! Thanks for sharing. Note the redlined switch in the LOC schematic for setting between compression and limiting functions - just shunts out the 2.7K resistor in the photocell circuit... The UREI schematic incorporates that redline. Not sure which T4 is in Steve's unit. 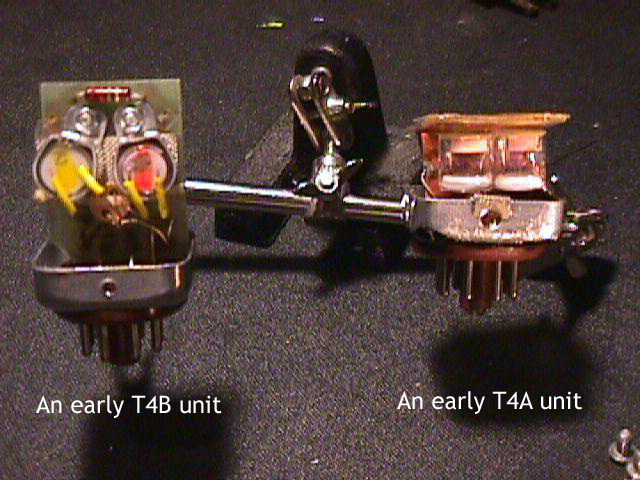 For those that are not familiar with an opto compressor, photocells (one in the audio path at the gain pot) and one on the meter circuit) are driven by an EL light source. The light source was coupled to photocells. The UREI 813's used them - when you'd crank the control room vol, you'd see them glow. A while ago, repaired a bass guitar speaker cab for a local club (the Birchmere) that used old style dome lights for protection. I typically use polyfuses in designs I do. klockwerk and Chris DeVoe like this. On that webpage they mention the LA-4. We used those to drive broadcast loops to transmitter sites over equalized phone lines. The thing was that the output transistors for the 600 ohm output were similar if not the same as those used in the Advent 300 receiver's power amp used to drive speakers. Lots of headroom and drive. UREI always made silly amazing overbuilt gear. I buil a drip audio LA2A clone. Sounds amazing, especially on guitar and vocals. I heard he's into flatt and scruggs type stuff. Man! I would love to hear what you could do to my Hansaring tracks with this sonic gem! How does the current Universal Audio LA-2A compare to the originals? Anyone know? I'm not anyone, but I know. It sounds pretty good. Get the right tubes in there and you're good to go.